This site is the web resource for the book “Interactive Graphics for Data Analysis – Principles and Examples”. 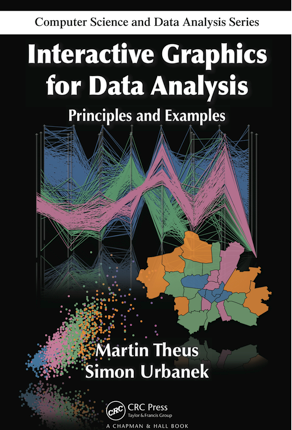 There are links to the most important software tools, all datasets used in the book for easy download, and a set of slides which may be used together with the book for a lecture. The R-code used in the book can be found here as well. The news section will cover news on the book, potential courses and all kind of information regarding interactive statistical graphics and data visualization in general.